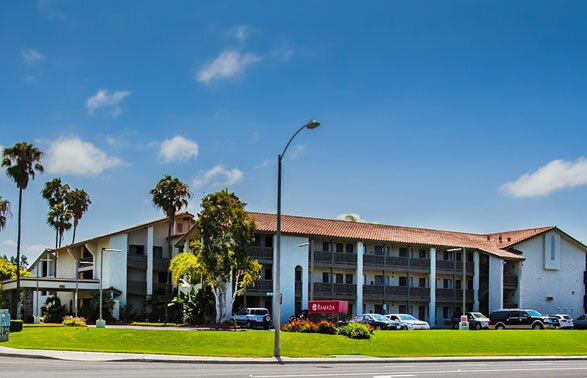 The Ramada Inn Carlsbad by the Sea is located off Interstate 5, close to Carlsbad State Beach, the 100% Non Smoking Ramada Carlsbad features all the modern amenities that our guests have come to expect. 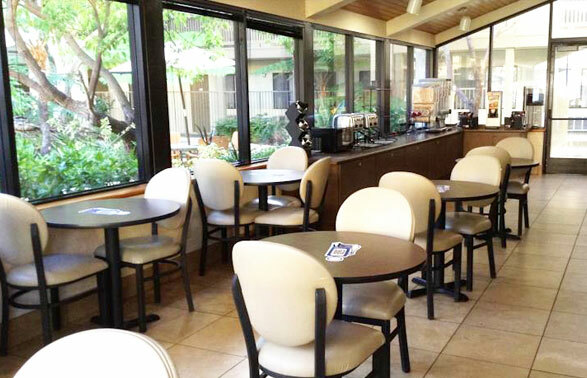 All room rates include Complimentary Hot Breakfast Buffet served daily in our pool front atrium as well as complimentary newspapers, parking, and Wireless internet throughout the grounds. 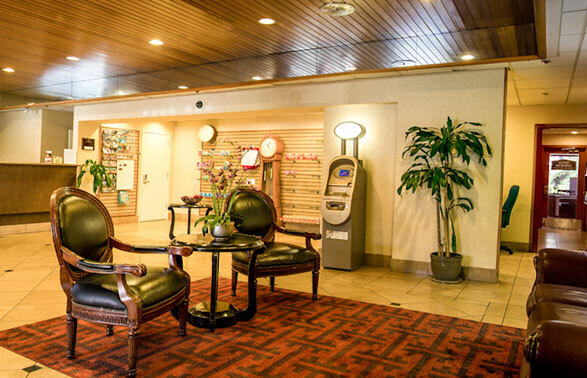 Our property also includes a business center, fitness room, convenience mart in the lobby, on-site coin laundry, and a large heated pool and spa in a garden setting. 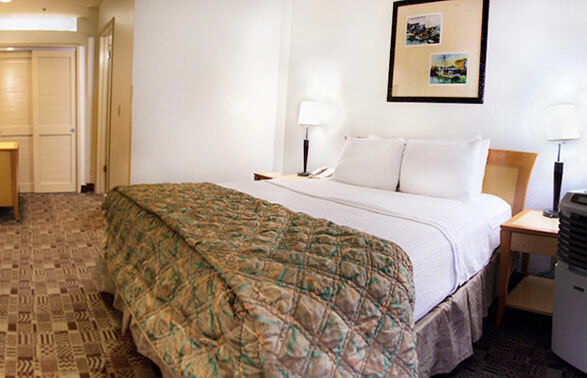 To make you and your family feel at home, all rooms are equipped with 27″ televisions with full cable, refrigerators, microwaves, Pay per View movies, Nintendo, hairdryers, irons and boards. 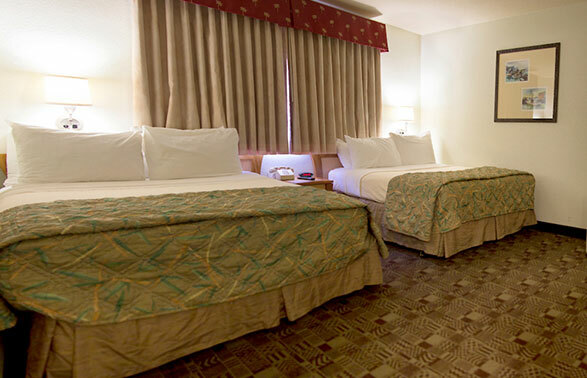 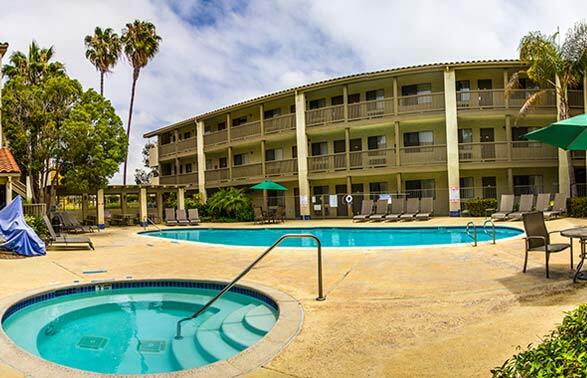 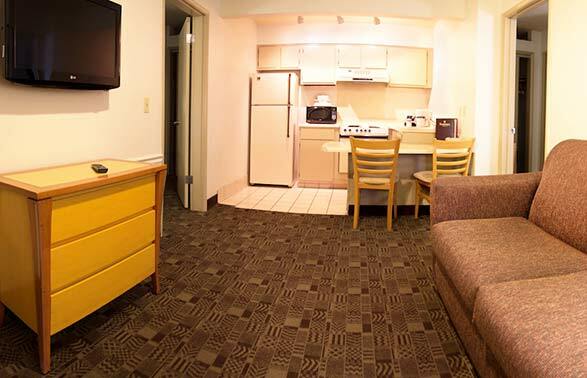 We are conveniently located only 2 miles from LEGOLAND California Resort, 1/2 a mile from Carlsbad State Beach and centrally located to all the business parks and restaurants, The Ramada Carlsbad By The Sea Carlsbad is the ideal location for the family and business traveler alike.